Anne Campbell Gibson was born in Edinburgh in 1850. 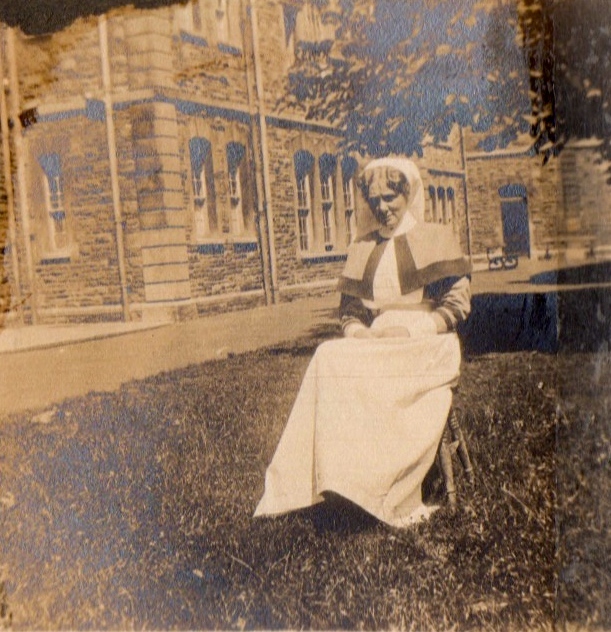 In 1881 she enrolled at The Nightingale Fund Nurses’ Training School at St Thomas’ Hospital in London. It was there, at the express wish of Florence Nightingale, that Anne Gibson’s interest and work was directed to Poor Law nursing, as Miss Nightingale told her: ‘wherever the need was, there must be a Nightingale Nurse to meet it’. After leaving the Beaufort, Anne Campbell Gibson went on to serve on the Council of the College of Nursing (1917). She died on the 21st of April 1926, and a memorial service was held in the private Chapel at St Thomas’ Hospital. There is still an Anne Gibson Committee Room at Birmingham City Hospital. With thanks to John Penny, Fishponds History Society.